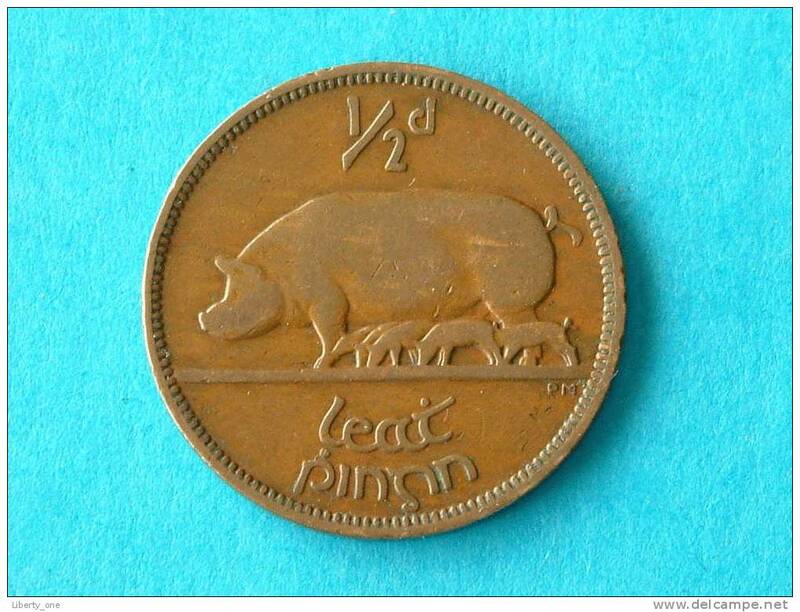 Irlande - 1933 - 1/2 PENNY / KM 2 ( for Grade, please see photo ) ! 1943 - 3 PENCE / KM 12a ( uncleaned coin / for Grade, please see photo ) !! 1935 - 1 PENNY / KM 3 ( uncleaned coin / for Grade, please see photo ) !! REPUBLIC OF IRELAND ( from the Serie Coin Sets of All Nations ) Card 20,5 x 29,5 cm. ) + Stamp '82 ! 1933 - 3 PENCE / KM 4 ( for Grade, please see photo ) ! 1935 - 1/2 PENNY / KM 2 ( for Grade, please see photo ) !! 1963 - 1 PENNY / KM 11 ( uncleaned coin / for Grade, please see photo ) !! 1928 - 6 PENCE / KM 5 ( uncleaned coin / for Grade, please see photo ) ! !